Landing in Buenos Aires, the city of ‘good air’ in Spanish, the city definitely lives up to its name with a warm, temperate climate during the day and pleasantly cool in the evenings. 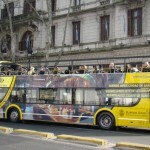 Buenos Aires offers a variety of experiences from tango to milonga to some very fine dining experiences. La Viruta is one such milonga where we took a couple of tango classes one night. In uptown Recoleta and Palermo there are many green parks clustered with several restaurants and cafes. The highlight was a Japanese restaurant with a Japanese garden. Malba –the contemporary Art museum of Buenos Aires houses the private collection of an Italian collector, Constantin Eduardo. A stunning self-portrait of Mexican legendary artist Frida Kahlo highlights this collection amongst many other contemporary art works. One of the highlights of the five days spent in Buenos Aires, was a visit to the cultural suburb La Boca, a colourful, cultural experience of a flea market by local artisans and craftsmen with Spanish style architecture and gaucho couples doing the tango on both sides of the streets in cafes with sit outs. The folk music, the tango, the local arts and crafts, La Boca instantly translates into a memorable moment of the Argentine experience. A must do is a similar flea market at San Telmo’s Sunday market with antique dealers selling silver ware,cutlery, lamps and jewellery from another time. The tango show ‘Senor Tango’ is a romantic escape into Argentine culture. Amongst shopping and art experiences are some very chic brands and galleries in upscale Recoleta, Palermo Viejo, Chico Palermo,Soho Palermo. Restaurants and cafes outline these areas and are also clustered around Puerto – the new developments around the harbour. From Buenos Aires we flew into Iguazu up north and checked into our beautiful hotel Loi Suites in the midst of a tropical jungle with an Indian concept spa, Namaste. Next morning we are driven to Iguazu National Park to meet with our ecological tour guide for the day, Carla. We trekked up many catwalk trials to get some superb views of the Iguazu Falls. The power and magnanimity of the falls when viewed from the Devil’s Throat is truly one of the wonders of the world. 270,000 cubic litres per second of water spread across 2700 metres of the width of the falls, makes Iguazu the third largest falls in the world after Niagara and Victoria Falls. We touch the Brazilian border at this point of the falls. Our trek was a combination of some walking trails, some speed boating adventure under the falls, some train rides, a truck drive into the tropical rainforests around the falls and a rubber raft on the river. The power of the Iguazu falls is magnificent! The park adventure ended this evening and we returned to our hotel to relax in the many temperature pools. The next morning we fly to Salta and check into a boutique, Conde Nast recommended hotel – Legado Mitico with rooms highlighting famous characters of the region’s history. We were in an ethnic room called El Wichi. The hotel is situated four blocks away from the city centre, 9th of July square and two blocks away from the culinary capital of Salta; the Balcarce Street. The Balcarce Street is famous for its paneas with unique live music and dance through the evening. With live gauchos, song, dance and wine this street brings alive the culture of the region with some fantastic home-grown wines from the neighbourhood wineries. 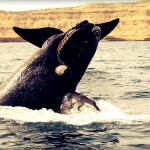 One of the paneas we recommend is Cafe Del Tiempo (the time cafe) amongst other Andean local paneas. From Salta we were driven to Cafayate, which is home to a few boutique Spanish wine growing Bodegas with a breathtaking drive through the canyons of the Andes. With the red mountain landscape changing formations along the way and blooming cactus trees; this picturesque landscape is part of a varied Latin American outdoor experience. A night spent on the bodega ‘wine resort’ with some very fine wine tasting and a tour of the local wineries was the highlight of the trip. Some bodegas and their wines worth a mention are from the locally grown Torrontes grapes found only in this Argentine region and a re-blend of two French grapes. The ones we favoured and bought were Elementos Torrontes Dulce natural late harvest from El Esteco Bodega and the Torrontes Tardio from Bodega Nanni – the only organic wine maker in the region and the Porvenir Torrontes dessert wine. These fine wines come with a floral fragrance and a fruity bouquet. The late harvest does not need decanting as it has a very short life in the oaks. Back in Salta we learned to siesta, like the locals. The flight from Salta to Ushuaia via Buenos Aires offers some great topographical views of the Atlantic Ocean with the snow covered mountain peaks of Patagonia. 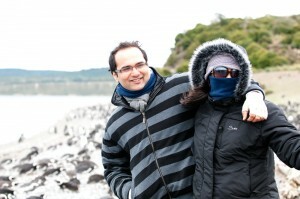 We were driven to the hotel, Los Cauquenes Spa and Resort which is part of the small luxury hotels. The room was overlooking the Beagle Channel; the exact point where the Atlantic Ocean and Pacific Ocean meet; the southernmost point of the world, a 1000 km from the Antarctic Circle. 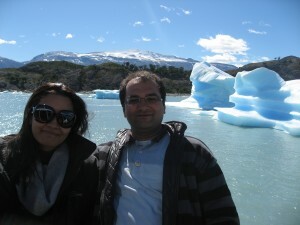 Ushuaia is arguably the southernmost tip of the world. There are cruises to Antarctica that depart from here. An off-road excursion on a 4×4 Lagos in the indigenous forests in the hinterlands of Tierra Del Fuego by exceptionally experienced professional driver/guides marks one of the highlights in Ushuaia. The real fun began when we left the sealed road and entered the indigenous tracks from where the expert driver navigated through fallen trees and into portions of the lake where it was shallow on the shoreline. Eventually after some off-roading fun we arrived at a small sheltered hut in the middle of the ocean and the forest where fine labelled Argentine wine awaited us with a specially barbecued lunch. Yet another highlight in Ushuaia comes with rowing and gliding through the waters of the Beagle Channel on a semi-inflatable canoe paddling our way to Gable Island. 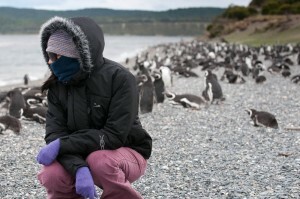 Gable Island is home to the only nesting colony of almost 3000 Magellanic Penguins in a region of the world that is a ‘road less travelled’ but well worthy of our experience. The train to the end of the world called the “Prison Train” in the penal colony of Ushuaia is definitely worth a mention. 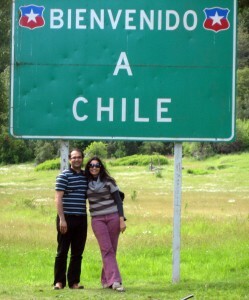 A trip to the Lapataia Bay which is considered the end point of the world touched Chile on one side. 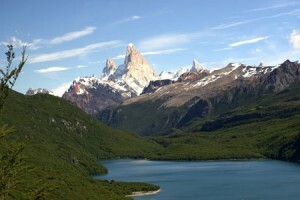 From Ushuaia we flew to El Calafate in northern Patagonia and were driven to our hotel ‘Alto Calafate’ to check into our presidential suite with an in-house Jacuzzi and the best view of the city. The hotel is owned by the president of the country- Christina de Kircher. It housed a cozy spa with many hydrotherapeutic massage options and a warm indoor pool with a superb view. 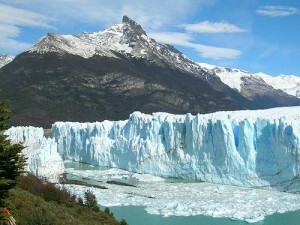 Next morning we are driven 60 kilometres to see the region’s largest accessible glacier Perito Moreno for a 2-hour trek on some beautiful glacier formation in the snow. Mini trek is a glimpse of the real snow treks and ended with a glass of scotch and some fine chocolates; truly Swiss style. 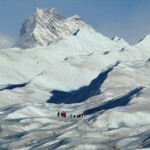 Next day we were taken on a navigation safari on a cruise liner Fernandez Campbell on the captain’s deck to enjoy some of the best views, privately, on the deck of the five largest glaciers in the world: Upsala, the Spegazzini, the Onelli, the Seco and the Perito Moreno glacier. The luxurious cruise gave many Kodak moments and views of unparalleled glacier formations melting into water somewhat comparable to massive ice installations. A truly memorable day! From El Calafate we fly to San Carlos de Bariloche – the Switzerland of Andes with Ski resorts, spring in full bloom, chocolatiers and chocolatier architecture strewn on both side of the streets. 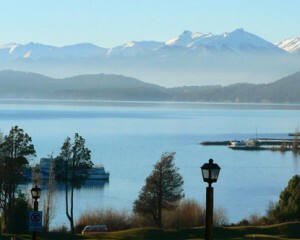 One of the largest lakes Nahuel Huapi and Swiss style ski resorts with snow in summer, makes Bariloche an ideal tourist destination in South America. Our hotel Llao Llao which is rated as one of the world’s most luxurious hotels definitely deserves a special mention. 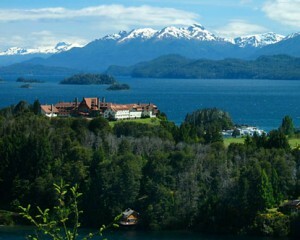 On an island 20 km from the main city of Bariloche with a private 18 hole golf course and full chateau on a lake surrounded by mountains with signature style chocolate massages at the spa and a schedule for classes from yoga, pilates tango, salsa, caminitoes and with a restaurant and a chapel on house, Llao Llao is truly a luxury abode. We drove deeper into the Andes to San Martin through the lake route and arrived at Loi suites, Chapelco Hotel with a spa and golf course. The spa had a signature Shiatsu massage and a circulatory hydrotherapy with a private Scottish shower, chill pool, Jacuzzi with a relaxation area overlooking the sunset .A drive to the Chile border through the Andes mountain range and afternoon hike to a beautiful water fall ended in the evening. From San Martin we flew to Buenos Aires for our last day in the city to relive some of our experiences before boarding a South American Airways flight to Bombay via Johannesburg. In Buenos Aires we decided to stay at Faena in Puerto Madero and revisit Bengal, our favourite Indian restaurant in Buenos Aires followed by a night of Tango. There we revisited La Boca to end our trip and take back some wonderful memories of Argentina!! !